The global mobile marketing market to grow from $28.63 billion in 2016 to $98.85 billion by 2021, at a Compound Annual Growth Rate (CAGR) of 28.1%. Increasing use of smartphones and tablets is driving the mobile marketing market. The mobile marketing market is growing rapidly because of the increasing number of mobile phone users, availability of high internet speed, and increasing usage of mobile web and mobile applications. Complete report on global mobile marketing market spread across 140 pages, profiling 10 companies and supported with 78 tables and 46 figures is now available at http://www.rnrmarketresearch.com/mobile-marketing-market-by-solutions-sms-mms-push-notifications-mobile-emails-qr-codes-location-based-marketing-in-app-messages-by-industry-retail-travel-logistics-automotive-bfsi-te-market-report.html . Furthermore, the report also includes in-depth competitive analysis of the key players in the mobile marketing market, with their company profiles, SWOT analysis, recent developments, and key market strategies. The mobile marketing market in APAC region is driven by Increase in smartphone penetration, availability of mobile internet, more use of mobile applications and mobile web, and introduction of 4G networks by the carriers. APAC is also expected to contribute more than 50% of all new connections between now and 2021. Latin America is the fastest growing region in mobile marketing. Mobile internet usage in the region has been growing largely due to mobile device adoption and growth of the middle class society. Order a copy of this report at http://www.rnrmarketresearch.com/contacts/purchase?rname=246436 . The Asia-Pacific region is expected to have the largest mobile marketing market share. The APAC region is expected to be the largest revenue generator region for mobile marketing vendors for the next five years, followed by North America. The region of APAC is a highly receptive market with continual development in the mobile marketing technology, which is further enhanced with ongoing large-scale adoption of mobile marketing solutions. In the process of determining and verifying, the market size for several segments and sub segments gathered through secondary research, extensive primary interviews were conducted with key people. In Tier 1 (30%), Tier 2 (40%) and Tier 3 (30%) companies were contacted for primary interviews. The interviews were conducted with various key people such as C-level (72%), Director Level (14%) and others (14%) from various key organizations operating in the global mobile marketing market. The primary interviews were conducted worldwide covering regions such as North America (57%), Europe (14%), and APAC (29%). The report includes the study of key players offering mobile marketing solutions and services: SAP SE (Germany), IBM (New Yok), AT&T (Texas), Sales force (California), Adobe Systems (California), Oracle (California), SAS (North Carolina), Mobivity Holdings (California), Salmat (Australia), and Vibes Media (Chicago). 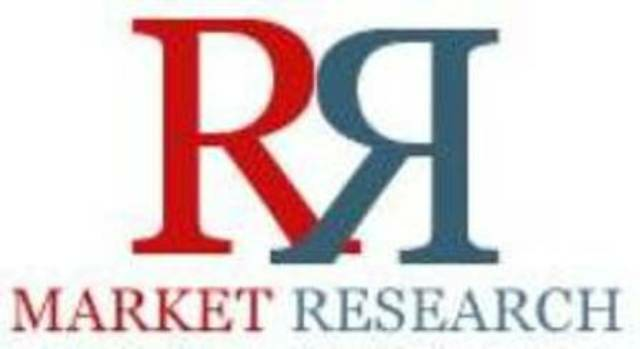 Make an Inquiry on “Mobile Marketing Market by Solution (SMS, MMS, Push Notifications, Mobile Emails, QR Codes, Mobile Web), by User Type (SMB and Large Enterprise), by Vertical (Retail and E-commerce, Travel & Logistics, Automotive) & by Region - Global Forecast to 2021”research report at http://www.rnrmarketresearch.com/contacts/inquire-before-buying?rname=246436 . On a related note, another research titled Mobile Value Added Services (MVAS) Market Global Forecast and Analysis to 2020 says, the global MVAS market to grow from $330.35 billion in 2015 to $655.07 billion by 2020, at a CAGR of 14.7%. In terms of regions, North America is expected to be the biggest market in terms of market size, while APAC and MEA are expected to experience increased market traction, during the forecast period. Companies like Google, Apple, Comviva Technologies, AT&T, Vodafone, OnMobile, KongZhong, One97 Communication, Comverse, and InMobi have been profiled in this 149 pages research report available at http://www.rnrmarketresearch.com/mobile-value-added-services-mvas-market-by-solution-sms-mms-mobile-money-mobile-infotainment-and-others-by-end-user-smbs-and-enterprises-by-vertical-bfsi-government-and-others-by-ge-market-report.html . Explore more reports on Information Technology & Telecommunication market at http://www.rnrmarketresearch.com/reports/information-technology-telecommunication .